Ruscote Lions inflicted a rare defeat on Sandford St Martin in the Banbury Indoor Cricket League. Sandford were dismissed for 87 runs in Tuesday’s division one fixture with Steve Dobson 40 top scoring while Imran Younis took 2-31 and Imran Hussain 2-26. Tom Goffe took 2-36 but Lions completed a two wicket win in the final over with Naveed Syed 29no and Younis 11no top scoring. 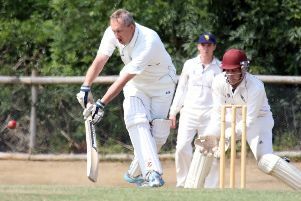 Banbury Veterans beat Banbury by 21 runs. Steve Beck 44no and James Mitchelmore 18 helped Veterans to 121-5 while Andrew Prior took 1-39 and Mark Austin 1-45. James Risbridger took 2-31 and Andy Cross 1-45 to restrict Banbury to 100-4 with Keiron Churchill 23 and Jack Lamden 25no top scoring. Hook Norton beat Castlethorpe by 102 runs. Tom Bartlett 42 Adam Webb 29 and Adam Bennett 25 helped Hooky to 156-4. Jordan Glazier took 2-17 and Dickie Knight 1-7 to skittle Castlethorpe out for 64 runs despite the efforts of Stuart Walden 30 and Colin Piggott 13. 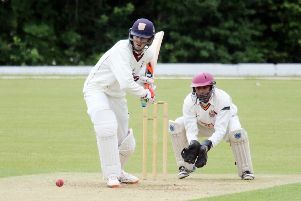 Cropredy beat Chipping Norton by five wickets. Mark Twynham took 2-25 and Ali Worby 1-12 while Luke Cherry 28no and Joe Fox 15no top scored for Cropredy.